Introducing your ONE STOP SHOP to every ONLINE, VIRTUAL HIGH SCHOOL available! We’ve done all of the hard work for you and compiled a list of online high schools and rated them based on our criteria as to what makes for a valuable learning experience for you and your student. The link directly below will take you to a detailed description of our rating system. Listed below, in no particular order, are 50 plus schools rated all in one convenient, easy to read format! Questions regarding accreditations? We’ve got that too! Visit here for more information. Penn Foster High School is regionally accredited for grades 9 through adult by the Commission on Secondary Schools of the Middle States Association of Colleges and Schools along with being nationally accredited by the Distance Education Accrediting Commission. This gives them 1.5 stars for accreditation. Penn Foster also has an A+ rating with the BBB. Penn Foster does offer instructors that are available over the phone Monday through Friday from 9am to 6pm, Eastern, you can also reach them through email and they will typically respond within 24 hours. There are also community discussion groups where you can contact an instructor. It doesn’t appear as though the teacher is assigned to you, it is more of a do it yourself with a help line type program. I also did not see any information about the school having a guidance councilor available. From what we can tell on the website we decided to award 1 star for this category. Penn Foster has all the basic core classes along with a program that allows you to earn college credits along with your high school credits allowing you to get a great jump start on college and for that we award them 1 star. Penn Foster allows you to set your own schedule and you can access the high school program anywhere as long as you have a computer and internet access making this program a very flexible program earning this school another .5 stars. Penn Foster’s website is very nice and easy to use and extra informative. This is exactly what we would expect from a great online high school. For this we award another .5 stars. James Madison High School is a regionally accredited online high school with accreditation from the Southern Association of Colleges and Schools Council on Accreditation and School Improvement. James Madison High School is also an accredited member of the Distance Education Accrediting Commission a nationally recognized accrediting agency. With both of these accreditation’s we award 1.5 stars. James Madison provides state certified teachers that you can contact via email or through Ask Your Teacher forum in each course. James Madison also provides Academic Advisers in case you need extra help with a subject Monday through Friday from 8:30 A.M. to 8:30 P.M. EST. For having accessible teachers along with Academic Advisers we award 1.5 stars. James Madison offers the basic core classes needed to get your high school diploma along with a college prep program that goes above and beyond the basic. We award 1 star for this. James Madison has no set log on times so your student can move at their own pace and as long as you have a computer with internet access you can learn from anywhere making this program very flexible. We award .5 stars for this. James Madison’s website is very nice and very informative, along with being very easy to use. This is what we would expect from a really quality online high school program. This earns James Madison .5 stars. Obridge Academy is accredited by AdvancED, the biggest accreditation group in the world, and the Southern Association of Colleges and Schools Council on Accreditation and School Improvement. These accreditation’s are excellent earning Obridge Academy 1.5 stars. Obridge Academy is also listed with the BBB with a A- rating. Obridge Academy provides students with their own teachers who guide families through the learning process by grading courses to meet students’ needs and offering ongoing support along with feedback. Your student can stay in contact with their teacher through use of their interactive grade book, Skype, email, mail or phone. Obridge Academy also provides a college counseling program for all students and includes one-on-one coaching sessions and webinars on subjects, such as, selecting the right college, college entrance exam preparation, college application assistance, parent resources, and scholarship or financial aid resources. We award Obridge Academy 1.5 stars for these qualities. Obridge Academy has all the quality, basic core classes along with three college credit courses in order for your student to get a jump start on their college career. For this we award Obridge Academy 1 star. Obridge Academy’s Online high school program appears as though it is more of a set schedule like a standard brick and mortar school where you work with the teacher. You can attend this school from anywhere with an up to date computer and internet service. We award .5 stars for flexibility. Obridge Academy’s website is very well built, nice, and informative. You can go on the website and find most any information needed to make an informed choice. For this, we award Obridge Academy another .5 stars. We were unable to rate K12 International Academy due to the fact that the website only gives the basic contact information. You have to contact them directly in order to find out about their program at the number listed above. Stanford is in a group of their own being a college that offers a high school program. There is nothing on their site saying anything about accreditation. This being said we would, in normal terms. not award them with the 1.5 stars that goes with our ranking system, but in this case, it is Stanford and Stanford could honestly be an accreditation group of its own. So, in this case, we are going to go ahead and award this program 1.5 stars for accreditation. Stanford’s program is set up where students see and are seen by classmates and teachers that are experts in their academic fields, where most hold Ph.D. degrees and the class is in real time like you would find in a standard brick and mortar school program. Stanford also provides academic advisers and college counselors. For these reasons, we award Stanford another 1.5 stars. Stanford has all the basic core classes to earn your high school diploma, along with great electives and AP courses. We award another 1 star for their great selection of courses. Stanford’s online high school program is set up more like a standard brick and mortar school program where you attend class online but being that you can do it anywhere with a computer and internet access, Stanford also has a college style program available if chosen, allows the student to set their own schedule. These qualities make Stanford’s program very flexible for anyone. We award another .5 stars for flexibility. Stanford’s website is nice, well built, and very informative. You can look on their website and find any information needed to make an educated decision if this program is for you. We award .5 stars for a quality website. Connections Academy is accredited by AdvancED, the largest accreditation group, along with the Schools Commission of the Western Association of Schools and Colleges, and several others. We award 1.5 stars when a program is accredited by more than one group. Connections Academy provides your student with core subjects taught by highly qualified and certified teachers with expertise in their relevant content areas. Connections Academy also provides counselors and Learning Coaches to develop a personal learning plan for your student. We award 1.5 stars for this. Connections Academy provides your student with all the basic core classes along with wide variety of honors, AP, and college courses that provide foundation for whatever path graduates choose: attending college or starting a career. Connections Academy provides instruction support anytime and students can also participate in a live online classroom environment when needing that extra attention. As long as you have an up to date computer with wifi access, this program travels with you making this school very flexible. We award another .5 stars for flexibility. Connections Academy has a very nice, well built and informative website where you can find most any information you need earning them another .5 stars. K12 is accredited through AdvancED, the largest accreditation group in the world, making their diploma acceptable everywhere. Any school with an accreditation through AdvancED is up to date and a top of the line school. We award 1.5 stars for Accreditation. K12 provides a free public school option in some states where teachers are state certified and available for one on one time if needed. We did not see anything about a guidance counselor or academic advisers so we could only award 1 star for this. K12 has all the basic classes your student needs for their diploma along with honors, AP, and dual credit courses to choose from. We award another 1 star for these qualities. 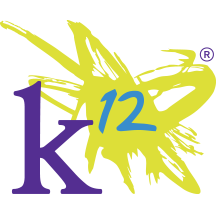 K12 has a program that you can take with you anywhere as long as you have an up to date computer with WIFI. K12 does have online classes your student has to attend although most of the work can be done at your own pace making this program somewhat flexible. We award another .5 stars for this. K12’s website is nice, well built, and informative where you can find all the information you would need in order to make an educated choice and we award another .5 stars for this. Forest Trail Academy is accredited through AdvancED, the largest accreditation group in the world. Forest Trail Academy is also accredited through Middle States Association – Commission on Elementary and Secondary Schools, Accreditation International, and The National Council for Private School Accreditation. We award 1.5 stars when a school program has more than one accreditation. Forest Trail Academy’s teachers are certified or eligible to teach in their respective subject areas and are able to be reached via live chats, message center, chat room conferences, phone calls and e-mails. Forest Trail Academy also provides academic counselors in order to help guide your student along the way. We award another 1.5 stars for these qualities. Forest Trail Academy offers all the basic core classes, along with AP classes and Dual Enrollment classes, providing everything a student may need to get a quality start toward college or the work force. We award another 1 star for this. Forest Trail Academy appears to have a very flexible program where your student can set their own schedule and the program will travel anywhere as long as you have an up to date computer with Internet access. We award .5 stars for this quality. Forest Trail’s website is very nice, well built, and informative. You can go on the website and see all the information needed in order to make an informed decision. We award .5 stars for their website. The Keystone School is accredited by AdvancED, the worlds largest accreditation group, along with Middle States Association of Colleges and Schools. The Keystone School is also listed with the BBB and has an A+ score. We award 1.5 stars for these qualities. Keystone teachers are licensed and certified, more than half of their teachers hold master’s or doctoral degrees. Teachers respond within one business day and provide feedback on assignments within three business days for online courses and seven business days for correspondence courses. We get the impression from Keystones website that teacher access is limited. The Keystone School has a Keystone Plus program with more options but website says that option is closed at the present time. We also do not see any extra guidance support for students, therefore, we can only award 1 star at this time for Teacher Access. The Keystone School does have all the basic core classes to earn your diploma and they also offer more electives along with AP classes. For this nice selection of courses we award another 1 star. The Keystone School appears to be very flexible and they have self passed courses that are available anywhere, anytime as long as you have an up to date computer with Internet access. We award .5 stars for flexibility. The Keystone School has a very nice, well built website with all the information needed in order to make an informed decision for your student. For website information we award .5 stars. Excel High School is accredited through AdvancED, the largest accrediting group in the world, and the credits you earn through this program will transfer to most schools and colleges out there. Along with the great accreditation through AdvancED, Excel High School also has an A+ with the BBB. We award 1.5 stars for accreditation. Each student is supported by a State licensed expert with a master degree in their respective subject matter. They provide the ability to communicate from a distance using email, online chat, phone, Skype and Google+. Students are also provided an advisor to help them along the way. We award 1.5 stars for these qualities. Excel High School offers all the basic core courses in order to get your diploma along with a nice selection of electives and college prep courses allowing your student a nice selection in order to jump start their college career. We award 1 star for Class Availability. Excel High School is very flexible. Full time students can expect to spend 4-5 hours a day, five days a week, in their coursework, although online courses are available anytime 24 hours a day, 7 days a week and if you have an up to date computer with Internet connection, your student can do these classes anywhere. We award .5 stars for flexibility. Excel High School’s website is very nice and well built with plenty of information in order to make an informed decision as to if Excel is the best school for your student. We award .5 stars for website information. American High School is accredited through AdvancED, the largest accreditation group in the world, along with CITA, The Commission on International and Trans-Regional Accreditation. For having more than one accreditation we award 1.5 stars. American High School is also listed with the BBB with an A+ rating. American High School provides instructors with advanced degrees or credentials in their academic areas. The teachers leads virtual interaction between classmates and instructors and the program encourages group discussions. Students and parents are in contact with teachers via, instant messaging, chat room conferences, Skype, phone calls, and e-mail. There is also an advisory system that provides continuous support to students and parents. For these qualities we award 1.5 stars. American High School offers all the basic courses in order to get your student’s high school diploma, plus AP and Honors classes in order to challenge your student and prepare them for their college future. We award 1 star for these qualities. American High School’s program can be done year round. Your coursework can be done 365 days a year, 24 hours a day. You can also access your classes from anywhere if you possess an up to date computer with Internet access. We award .5 stars for Flexibility. American High School’s website is nice and well built along with being very informative. You and your student should have no problems finding any information needed on their website to make an informed choice. For a nice website we award .5 stars. The Ogburn School is accredited through AdvancED the largest accreditation group in the world along with Accreditation International, Middle States Association Commissions on Elementary and Secondary Schools, and National Council for Private School Accreditation. These are all quality accreditations so we award The Ogburn School 1.5 stars on accreditation. The Ogburn School is also listed with the BBB and has an A- Rating. The Ogburn School’s website is lacking from what we see on teacher information. The website says that they provide teacher support but it says to call for more information. We can only award .5 stars for the information provided. The Ogburn School offers all the basic core classes in order to get your high school diploma but not much more from what we see on their website. We award .5 stars for Class Availability. The Ogburn School does appear to be very flexible with year around school and the ability to access from anywhere with an up to date computer and internet access. We award .5 stars for this. The Ogburn School’s website is nice but lacking sorry to say. For a lot of the information needed, you would have to call the school. We award .5 stars for their website. Liberty University Online Academy is accredited by AdvancED, the largest accreditation group in the world, a very good accreditation. An accreditation through AdvancED is a sure way to know that your credits that you earn will transfer. We award 1.5 stars for Accreditation. Liberty University Online Academy states on their website that coursework promotes self-instruction, yet parental guidance is essential. Daily parental review of student progress is highly encouraged. We did not see anything about one on one teacher access or guidance. We can only award .5 stars in this case. We did read that your student will be assigned an ACADEMIC ADVISOR if they take the dual enrollment courses. Liberty University Online Academy does have a nice selection of courses ranging from your basic core courses to Dual Enrollment options that will advance your student past just high school. For these qualities we award 1 star. Liberty University Online Academy has flexible options that allow your student to work on their schedule anywhere with an up to date computer and Internet access. We award .5 stars for flexibility. Liberty University Online Academy’s website is nice and easy to use along with being very informative making it easy to make an educated decision if this school’s program will fit your students needs. We award another .5 stars for website information. Southeast Academy is accredited through the Southern Association of Colleges and Schools Council on Accreditation and School Improvement along with the National Association of Private Schools. Both of these are good accreditation groups and we award 1.5 stars. Southeast Academy from what we understand from their website offers a program with 30 min one on one tutoring sessions and with the basic package your student gets one session a day by appointment only. If your student needs more time then that, you may have to pay for a different package. Being that one on one time is important in a lot of cases, this may be a good option for your student. Elite Service includes ongoing concept help via message center, email, telephone, Skype, etc. This school also provides academic advisers with the elite package. We award 1.5 stars for teacher access. Southeast Academy has all the basic core classes to earn your student their high school diploma along with honors, college prep, general, and vocational. There is no additional charge for their Honors Program! A SEA academic adviser can guide you to the best choice. We award another 1 star for class availability. Southeast Academy has a flexible program that allows your student to learn at their own pace and as long as you have a computer with Internet access you can do the program from anywhere. We award .5 stars for flexibility. Southeast Academy has a well built website that provides all the information needed in order to make an educated decision as to whether or not this program is good for your student. We award .5 stars for website design. National High School is accredited through AdvancED, the largest accreditation group in the world, along with being accredited by NCAA. These accreditations are excellent so we award 1.5 stars for accreditation. National High School provides qualified instructors and mentors for all courses with expertise in their field. Instructors can be reached through email, telephone, and in the virtual classroom. If you need special one-on-one assistance, you can also make an appointment with your instructor to meet in the virtual classroom at a special time. We award 1.5 stars for Teacher Access. National High School’s program offers all the basic core classes needed to earn your diploma along with a good selection of electives and honors classes. We award another 1 star for Class Availability. National High School’s program is set up for the student to work at their own pace and as long as you have an up to date computer with internet access your student can attend class from anywhere. We award .5 stars for Flexibility. National High School’s website is nice, well built, and very informative. You can find any information needed on their website in order to make an informed choice as to if this program is fit for your student. We award .5 stars for Website Information. Career Online High School is a division of Smart Horizons Career Online Education, the world’s first online school district that is fully accredited by the AdvancED, the world’s largest accreditation group. AdvancED is a great accreditation to have and credits earned here should be good anywhere. We award 1.5 stars for accreditation. Career Online High Schools offers Students access to an Academic Coach, along with a Certified Instructor, and 24/7 Technical Support, they also have a hybrid programs an Onsite Facilitator. Students also attend live online seminars. We award 1.5 stars for teacher access. Career Online High School’s program offers all the basic core classes in order to get your diploma, along with some other courses called career courses that prepare a student to join the work force once out of school. We award 1 star for Class Availability. Career Online High School is very flexible with the ability to access the program from anywhere as long as you have an up to date computer with Internet access. We award .5 stars for flexibility. Career Online High School has a very nice, well built, and informative website that contains more than enough information to make a decision for your student as to if this program fits your needs. We award .5 stars for website design. Apex Learning Virtual School is accredited by AdvancED, the largest accreditation group in the world, along with NCAA both of which are excellent accreditations. We award 1.5 stars for accreditation. Apex Learning Virtual School provides select staff for their expertise in their subject areas and their passion for teaching. Apex Learning’s teachers understand online instruction and provide curriculum professionals, instructional designers, subject-matter experts, and assessment specialists who are there to help your student meet their needs. We award 1.5 stars for Teacher Access. Apex Learning Virtual School offers all the basic core courses your student will need to earn a diploma along with a selection of Honors and AP courses to challenge your student if needed. We offer 1 star for Class Availability. Apex Learning Virtual School has a flexible program that allows students to move at their own pace and as long as the student has an up to date computer with Internet access, the student can take classes from anywhere making this program very flexible. We award .5 stars for Flexibility. Apex Learning Virtual School’s website is easy to use and well built with plenty of information for you and your student to make an informed decision as to if this school fits your needs. We award .5 stars for Website Information. Western Christian Academy has full accreditation status with the North Central Commission on Accreditation and School Improvement along with National Association of Private Schools with their PreK through 5 grades. We award 1.5 stars for more then one accreditation. Western Christian Academy’s Students will have daily contact with teachers to ensure the best opportunity for success. Along with the built-in message center within the curriculum, one-on-one academic assistance can be provided via telephone, online whiteboard, and other tools. Sessions through their tutoring program with qualified academic advisors, by appointment, will offer your student for up to 30 minuet session with extra sessions available if needed with an upgraded package. We award 1.5 stars for Teacher Access. Western Christian Academy offers all the basic core classes needed to get your diploma, along with some great electives and honors classes, in order to prepare your student for a great start on their employment or college future. We award 1 star for the Class Access selection. Western Christian Academy is very flexible with the student being able to move along at their own speed and as long as you have an up to date computer with internet access you can attend the classes from anywhere. We award .5 stars for Flexibility. Western Christian Academy’s website is very nice and well built with plenty of information in order to make an informed decision as to if this program is the best one for your student. We award .5 stars for website design. George Washington University Online High School is accredited by the Middle States Association of Colleges and Schools Commissions on Elementary and Secondary Schools. We award 1.5 star for one accreditation. George Washington University Online High School program is set up so that courses contain asynchronous reading, activities, assessments, and videos, as well as live sessions conducted by the teacher at preset times. Many of these sessions are recorded so that students can attend if they miss a session. Teachers use a whiteboard for live online instruction, multi-student discussion and collaboration, and space for instructional slides, as well as file and video sharing which enables teachers and students to conduct a live virtual discussion as if they were in a physical classroom. This program also provides counselors to work with each student to develop his or her own Individualized Academic Plan. We award 1.5 stars for Teacher Access. George Washington University Online High School program provided all the basic core classes in order to get your diploma along with several electives, AP-college prep,and honors classes in order to ptrpare your student for their employment or college future. We award 1 star for Class Availability. George Washington University Online High School program program is very flexible with per planned live classes along with recorded classes if your student can’t attend the live classes. This program can also be accessed from anywhere with an up to date computer and internet access. We award .5 stars for Flexibility. George Washington University Online High School’s website is nice and well built with plenty of information in order to make the decision on if their program is best for your student. We award .5 stars for Website Information. Whitmore School is nationally accredited by AdvanceEd, and regionally accredited by NCA. Whitmore School is an approved NCAA core course provider. These accreditation’s are good qualities and for this we award 1.5 stars. Whitmore School’s learning philosophy offers students the freedom and responsibility of self-­paced learning. Students are responsible for mastering all of the content from each lesson. Students submit revisions of their work until the instructor determines that each answer is correct. The school’s website says that students have one on one time with the teachers, but we can not locate where it says how or when. We also do not see anything that says there is guidance or an academic adviser provided. We are only awarding 1 star for Teacher Access. Whitmore School’s program does offer a nice selection of electives and honors courses to go along with all the basic core courses needed to earn your diploma and prepare your student for their future. We award another 1 star for Class Availability. Whitmore School’s program is very flexible and with a, “move at your own pace” set up, a student can move at their own speed with no problem and as long as you have an up to date computer with internet access your student can access this program from anywhere making Whitmore School a great option. We award .5 stars for Flexibility. Whitmore School’s website is nice, easy to use with plenty of information in order to make a decision as to if this program fits you and your student’s needs. We award .5 stars for Website Information. The University Of Texas is a college university and generally they have different standards of accreditation they adhere to. The University Of Texas High School is accredited through the Texas Board Of Education and meets the Texas Essential Knowledge and Skills (TEKS) criteria. Credits are easily transferable to other schools. Core courses are NCAA approved. We award 1.5 stars for Accreditation. The University Of Texas high school program from what we understand is set up with each course being designed to help students learn independently through self guided exercises and teacher commentary, along with online resources. This program appears to be more of a do it yourself and does not appear to have one on one teacher access. We only award one star for Teacher Access. The University Of Texas high school’s program is set up with all the basic courses needed to get your basic diploma along with AP courses and Dual Enrollment courses set up for your student to get a head start on their college career. We award 1 star for Class Availability. The University Of Texas High School’s program is very flexible. Your student can take up to 150 days to complete the course. Students who want to advance may work through the course more quickly. For an additional fee, a 30-day extension can be requested if more time is needed and as long as you have an up to date computer with internet, your student can take the program from anywhere. We award .5 stars for flexibility. The University Of Texas high school’s website is nice but it appeared as though it was lacking a lot of content we see from some other schools. Indiana University High School is fully accredited by the North Central Association Commission on Accreditation and School Improvement, a division of AdvancED, the largest accreditation group in the world. Indiana University High School’s courses are also accredited through NCAA. We award 1.5 stars for Accreditation. 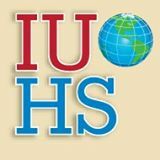 Indiana University High School program says that they have instructors, and advisors, but the website does not say how you interact with teachers and appears to have limited teacher access from what we can tell on their website. We do see information on a service called Homework Hotline, but information is limited at best. We can only award 1 star on the Teacher Access. Indiana University High School program is set up with the ability to get just your basic core classes or you can choose a college prep rout or an Academic Honors rout if that fits your needs. We award 1 star for Class Availability. Indiana University High School program appears to have a flexible program with all your student needing is an up to date computer with internet access. We award .5 stars for Flexibility. Indiana University High School’s website is nice, but has limited information and appears to be lacking some key elements. For most of the needed information, you would have to call the school. Mizzou K12 Online High School is accredited through AdvancED the largest accreditation group in the world along with North Central Association Commission on Accreditation and School Improvement. Mizzou K-12 / University of Missouri High School also offers courses that have undergone rigorous review by the NCAA. We award 1.5 stars for accreditation. Mizzou K12 Online High School’s program is set up with two available choices for study. you have Scheduled Format Courses that allow students the opportunity to collaborate with their peers and instructors in a more traditional semester-based format, but with the flexibility of all course interaction being online and a flexible option where your student can work at their own pace. full-time counselor are also provided with this program. We award 1.5 stars for Teacher Access. Mizzou K12 Online High School’s program is set up with all the basic core classes needed to get your basic high school diploma and they also have set up a college path diploma with AP and Honors courses to meet every need. We award 1 star for Class Availability. Mizzou K12 Online High School’s program is very flexible with a option set up with year around work at your own speed courses that your student can access anywhere as long as there is a up to date computer with internet. We award .5 stars for Flexibility. Mizzou K12 Online High School’s website is very nice, well built, and informative with all the information needed in order to make an informed decision as to if this program fits your students needs. We award .5 stars for Website Information. University of Nebraska Online High School is accredited through AdvancED, the largest online accreditation group, along with iNACOL, the international association for K12 online learning and they also offer NCAA approved courses. We award 1.5 stars for Accreditation. University of Nebraska Online High School’s program is setup where the students can access the course anytime via text or recorded voice lessons and you can contact the available teachers by phone and e-mail when needed. Academic Advisers are also provided to work with students and parents. We award 1.5 stars for Teacher Access. University of Nebraska Online High School’s program has all the basic core classes your student would need, along with AP and Dual Enrollment courses in order to fit every student’s needs. We award 1 star for Class Availability. University of Nebraska Online High School’s program is very flexible with your student being able to move at their own pace and, as long as there is a up to date computer with internet access available, your student can access these classes from anywhere. We award .5 stars for Flexibility. University of Nebraska Online High School’s website is nice and well built with all the information needed in order for you and your student to make an educated choice as to if this school is best for you. We award .5 stars for Website Information. Bonneville Online High School is accredited through AdvancED the most common accreditation for online high school programs to have and, also, the largest accreditation group in the world. You shouldn’t have any issues with your credits being accepted elsewhere. We award 1.5 stars for accreditation. Bonneville Online High School’s website, from what we can find, says nothing about teacher access so you would have to call the school for more information. We would assume that there is teacher access because of the school being accredited by AdvancED accreditation group. We award 1 star for Teacher Access. Bonneville Online High School’s program is set up in order to get all the basic core classes needed to earn your high school diploma and they also provide some nice electives to choose from. We award 1 star for Class Availability. Bonneville Online High School appears to be fairly flexible and as long as you have a up to date computer with internet access you can take the classes with you. We award .5 stars for Flexibility. Bonneville Online High School’s website is not very informative. We had a hard time finding information and it appeared as though they provided just enough info to have a website. We award 0 stars for their website. 25 E 9 1/2 Mile Rd. Smart Horizons Career Online High School is accredited through AdvancED, the largest accreditation group in the world. AdvancED is a great accreditation to have. We award 1.5 Stars for accreditation. Smart Horizons Career Online High School gives you access to an Academic Coach, a Certified Instructor, and Technical Support that are there to provide any help needed for your student’s success. We award 1.5 stars for Teacher Access. Smart Horizons Career Online High School’s program is set up as more of a career based school. This program has all the basic core courses needed in order to get your basic high school diploma along with several career courses to choose from. You will get everything you need in order to join the work force once you graduate. We award 1 star for Class Availability. Smart Horizons Career Online High School’s program is very flexible and you can access this program from anywhere with an up to date computer and internet access. You are provided with a Pace Guide to show you how much you need to complete in order to stay on track to graduate. We award .5 stars for Flexibility. Smart Horizons Career Online High School’s Website is nice well built and informative with all the information needed in order to decide if this is the school for you. We award .5 stars for website design. Hope High School Online is proudly accredited through AdvancED, the largest accreditation group in the world and is the best accreditation to have. We award 1.5 stars for accreditation. This program appears to be only offered to students in Arizona. If you live out of Arizona you have a choice of attending their sister school, Blueprint Education. Hope High School Online’s program consists of each class having a Certified Teacher whom are available in office, via email, or by phone for questions and tutoring. Although this program is a study at your own pace with a parent type program and it appears as though you only contact a teacher if needed. We also do not see any information as to if an academic advisor is provided. We award 1 star for Teacher Access. Hope High School Online’s program has all the basic core courses needed in order to get your basic diploma, along with a nice selection of electives to choose from. We award 1 star for Class Availability. Hope High School Online’s program is very flexible allowing you to be able to study anytime at your own speed and as long as you have access to an up to date computer with internet access you can take the classes from anywhere. This school is only for Arizona residents although they do have a sister school called Blueprint Education for people that live out of state. Blueprint Education link is provided under the Accreditation heading above. We award .5 stars for Flexibility. Hope High School Online has an informative, well built website with all of the information needed to make a decision as to if this program is a fit for your student. We award .5 stars for Website Information. Park City Independent is accredited through AdvancED, the largest accreditation group in the world which is a great accreditation to have. We award 1.5 star for accreditation. Park City Independent’s website says that they offer certified instructors and professional academic staff whom are available through live chat, phone support, and web conferences to help your student along the path towards graduation. We do not see any information about any other type guidance or academic advisors so we award 1 star for Teacher Access. Park City Independent provided all the basic core courses needed in order to get your basic diploma along with some nice electives to choose from. We award 1 star for Class Availability. Park City Independent’s program is very flexible and you leaarn on your schedule from anywhere with a up to date computer and internet access. We award .5 stars for Flexibility. 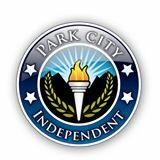 Park City Independent’s website is well built and easy to use with plenty of information as to make a choice as to if this program is best for you. We would have liked more information on teacher access and how teachers work with students. We award .5 stars for Website Information. Pinnacle Online High School is an affiliate of MGRM Pinnacle, Inc. and they are accredited through AdvancED as having been granted its Corporate Systems Accreditation. Among the first organizations in the world to achieve this honor. AdvancED is the largest accreditation group in the world. You should have no problems with your credits being able to transfer to other high schools or colleges with this accreditation. We award 1.5 stars for Accreditation. Pinnacle Online High School provides direction through highly qualified and certified teachers. Students are guided through synchronous lessons, along with individual tutoring and frequent teacher interaction. Students are also offered the opportunity to participate in group projects and assignments that bring together ideas and interactions with other students. We award 1.5 stars for Teacher Access. Pinnacle Online High School has all the basic core courses to get your high school diploma, along with lots of electives, advanced placement and honors classes in order to fit every student’s need to successfully enter college or just to prepare for the work force. We award 1 star for Class Availability. Pinnacle Online High School’s full-time students are required to access their classes at least every other day. 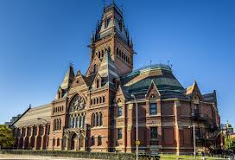 They also need to commit to no less than 25 hours per week to maintain adequate academic progress in their courses which should be fairly easy to accomplish considering normal brick and mortar schools average around 40 hours a week if you figure in the ride to school both ways. You can also access this program from anywhere with an up to date computer and WiFi. We award .5 stars for Flexibility. Pinnacle Online High School’s website is nicely well built and informative. We found all the information needed in order to make an informed choice as to if this school program is the best choice for your needs. We award .5 stars for Website Information. 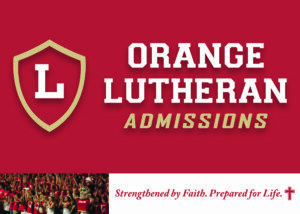 Orange Lutheran Online’s website says that they are NCAA and UC. Their courses are designed to meet iNACOL standards for quality online courses and are taught by highly trained teachers. We do not see anything in the information saying that they are accredited by any group, just that they meet the standards for this group. You would have to call the school and ask for more information in order to make sure your credits will transfer. We can only award 1 stars for Accreditation without more information. Orange Lutheran Online’s website says that Orange Lutheran Online mirrors the high quality academic structure and teaching methods of traditional classroom learning, with a convenient and flexible format, but we were unable to find much more information than that as to how you contact your teachers and times they are available, however, the school does also offer specialized counseling, college planning, and career advisement along with seven full time counselors. We award only 1.5 star for Teacher Access. Orange Lutheran Online does have all the quality basic courses in order to earn your diploma, along with AP and honors courses to get your student ready for college or the workforce. We award 1 star for Class Availability. Orange Lutheran Online mirrors the high quality academic structure and teaching methods of traditional classroom learning, with a convenient and flexible format, according to the website. But, it appears to us as though the classes are more of a scheduled class room type and may not be very flexible. You would have to call the school and ask for more information. Orange Lutheran Online’s website is nice but sorry to say it left us with out all of our questions answered. BYU Independent Study Online is accredited as an institution by the Northwest Commission on Colleges and Universities, which is a division of AdvancED, the largest accreditation group in the world. You should have no issues with your credits being accepted at other schools or colleges. We award 1.5 stars for Accreditation. BYU Independent Study Online’s program, from what we gather from their website, is more like online courses that your student can access anytime, unlike a standard class room. Although, they do have a program set up where experienced tutors are available to help your students with their core courses at no additional cost. Tutors have access to grade and course information. Students may e-mail the tutors, or speak with them through live chat Monday through Friday from 8:00 a.m. to 6:00 p.m. Mountain time. There are also counselors available to students, which is a plus. We award 1.5 stars for Teacher Access. BYU Independent Study Online’s program has all the basic core classes, plus advanced classes, to fit your needs. This is not a diploma program. BYU’s program awards you with a transcript, not a diploma, although they work the same way and will get you into the college or job you are interested in. If you have any questions about what a transcript is you may contact the school. We award 1 star for Class Access. BYU Independent Study Online’s program appears to be a “study at your own speed” type program and you may ask questions if needed. Uou can access this program from anywhere as long as you have an up to date computer with internet access which makes this program very flexible. We award .5 stars for Flexibility. BYU Independent Study Online’s website is nice, easy to use and informative with all the information needed in order to make an informed choice as to if this program is good for your student. We award .5 stars for Website Information. Oaks Christian Online High School is accredited through the Western Association of Schools and Colleges and by the Southern Association of Independent Schools, along with the core courses being NCAA approved. These accreditations are all excellent ones to have and your student should have no problems with other schools or colleges accepting them. We award 1.5 stars for Accreditation. 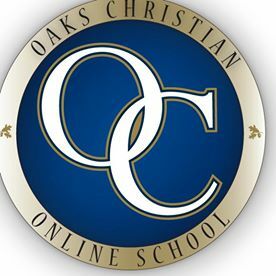 Oaks Christian Online High School’s program offers all part-time and full-time students access to Christian teachers, admissions counselors, and a technical support team. Full-time students will have the added benefit of access to an expanded staff, along with a support team. This team includes spiritual life advisors and college counselors. We award 1.5 stars for Teacher Access. Oaks Christian Online High School has all the basic core courses along with biblical, college prep, and AP courses that are sure to fit your student’s needs in order to prepare them for college or the work force once they graduate. We award 1 star for Class Availability. Oaks Christian Online High School’s program sets a pace for each semester and those dates are loaded into their course catalog for ease of tracking so they can move through their course with a cohort of other students. Students do have some flexibility within the term through the use of the late policy. Students have up to two weeks after a due date to submit their work without penalty and as long as you have an up to date computer with internet service your student can access this program from anywhere making this a very flexible program. We award .5 stars for Flexibility. Oaks Christian Online High School’s website is very well built and informative with all the information needed in order to make an educated decision as to if this school program fits your student’s needs. We award .5 stars for Website Information. 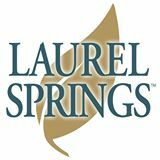 Laurel Springs is accredited through the Western Association of Schools and Colleges, AdvancED, Southern Association of Colleges and Schools Council on Accreditation and School Improvement, along with most of their courses also being NCAA approved. All of these accreditations are great and your student should have no issues getting their earned credits to transfer to other schools or colleges. We award 1.5 stars for Accreditation. Laurel Springs teachers provide feedback and regularly consult with each student, providing one-on-one support along with credentialed school counselors ensure students are prepared to graduate. We award 1.5 stars for Teacher Access. Laurel Springs offers all the basic electives in order to get your diploma along with AP and honors courses to fit any needs and to prepare your student for college or the work force. We award 1 star for Class Availability. Laurel Springs combines the benefits of a traditional school with the flexibility of online learning and as long as you have access to an up to date computer and internet service you can access this program from anywhere in the world and from what the website says, they have students in over 60 countries doing just that. We award .5 star for flexibility. 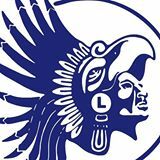 Laurel Springs website is very nice and informative and has all the information needed to see that it is an excellent school and you should have no problems making the choice as to if this school fits your student’s needs. We award .5 stars for Website Information. SK Online courses carry full accreditation through Northwest Accreditation Commission which is a good regional accreditation to have. You should have no problems getting the credits you earn to transfer. You should, however, check with the college you choose to see if they accept this accreditation. We award 1 star for Accreditation. SK Online courses are taught via the Internet by qualified, licensed teachers who provide assistance with learning challenges. In addition to online support, teachers may ask to arrange face-to-face meetings in order to further help students. We award 1 star for Teacher Access. SK Online offers all the basic core courses you would need in order to get your basic diploma but that seems to be about it. We did not see any information about AP or Honors courses. We award 1 star for Class Availability. SK Online’s program appears to be a do at your own speed and contact a teacher if needed program making it pretty flexible and as long as you have an up to date computer with internet service your student can access the program from anywhere. We award .5 stars for Flexibility. SK Online’s website is nice in a basic kind of way although they did not go out of their way to do any extra it seems. If you like minimal websites, then you will like this one. We award .5 stars for Website Information. Franklin Virtual High School is regionally accredited, through The Southern Association of Colleges and Schools a division of AdvancED and has an A+ rating with the better business bureau. We award 1.5 stars for Accreditation. Franklin Virtual High School teachers are there when you have a specific need and they also offer counselors, course specialists, administrative staff, along with technical support . Student Services are available from 9AM Eastern to 8PM Pacific times each day. We award 1.5 stars for Teacher Access. Franklin Virtual High School has 240 courses available to choose from, from the basic core courses to some great electives and AP courses in order to fit most every need. We award 1 star for Class Availability. Franklin Virtual High School offers a flexible semester completion capability. Each course requires a completion of 18 school weeks unless an exception is granted, you can set the start and end dates for your own pace for class completion. We award .5 stars for Flexibility. Franklin Virtual High School’s website was one of the easier we have had as far as finding the information needed in order to make this report. You should have no problems deciding if this is the best school for you. We award .5 stars for Website Information. Online HS.net has been accredited by the Northwest Accreditation Commission making it a regionally accredited school. Online HS.net is also NCAA approved. We award 1 star for Accreditation. Online HS.net’s website doesn’t say a whole lot about teacher access or the role they play on a daily basis. All we could find is a list of email contacts and a list of days where you can stop by and meet them in person. The website does say that you can contact teachers via email, IM, text and phone. We award 1 star for Teacher Access. Online HS.net has all the basic core courses you would need, along with honors courses. We award 1 star for Class Availability. Online HS.net is very flexible with classes available 24 hours a day and as long as you have a up to date computer with internet access your student can take the courses from anywhere. We award .5 stars for Flexibility. Online HS.net’s website is nice although it only has just enough information and left us feeling as though it was not enough to make the school stand out. NorthStar Academy holds two accreditations from AdvancEd through the regional office of the Southern Association of Colleges and Schools. You shouldn’t have any issues with the credits you earn being transferred to other schools or colleges with these accreditations. We award 1.5 stars for Accreditation. 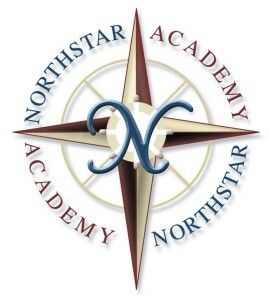 NorthStar Academy’s teachers hold a bachelor’s degree from a four-year university as a minimum. Along with morning and evening live classes, you can also Skype, email, or instant message with your teacher throughout the week. We award 1.5 stars for Teacher Access. NorthStar Academy offers a big selection of courses, from all the basic core courses to AP, Dual Enrollment, and lots of electives to choose from. You will find more than enough courses to choose from on their website. We award 1 star for Class Availability. NorthStar Academy offers their lessons to students through a learning management system where students can access all of their courses, track their progress, adjust their own pacing, and check their grades. As long as you have an up to date computer with internet access, your student can take these classes from anywhere. We award .5 stars for Flexibility. NorthStar Academy’s website is very nice and well built with all the needed information in order to decide as to is this school fits your student’s needs. We award .5 stars for Website Design. Forest Trail Academy is regionally accredited by the Southern Association of Colleges & Schools Council on Accreditation and School Improvement, Accreditation International, along with a couple others. Forest Trail Academy also has NCAA approved classes and an A rating through the BBB. We award 1.5 stars for Accreditation. Forest Trail Academy’s teachers are certified or eligible to teach in their subject areas and can be contacted via live chats, message center, chat room conferences, phone calls and e-mails. Academic Advisers are also provided. We award 1.5 stars for Teacher Access. Forest Trail Academy has lots of courses to choose from. You can get all the basic core classes, along with several Electives, AP, and Honors courses. Forest Hill Academy also offers Dual Enrollment courses in order to get a head start on college. We award 1 star for Class Availability. Forest Trail Academy’s courses can range from 45 days to 12 months and are self passed and as long as you have an up to date computer with internet access your student can take these courses from anywhere. We award .5 stars for Flexibility. Forest Trail Academy’s website is very nice and informative along with being very easy to use. You should have no problems finding any information needed to make an educated choice on this school program. We award .5 stars for Website Information. Sevenstar Academy is accredited through AdvancED, the largest accreditation group in the world, along with the AP courses being approved through College Board. Sevenstar also has NCAA approved courses that they offer. We award 1.5 stars for Accreditation. Sevenstar Academy’s students log into the learning management system to interact with their online teachers and peers. Teachers are certified in their subject area and are available to respond to students, during office hours, five days per week. We award 1.5 stars for Teacher Access. Sevenstar Academy offers all the basic core courses along with several electives and Advanced Placement courses in order to fit most every need. You should find that they have a nice selection to choose from. We award 1 star for Class Availability. Sevenstar Academy’s program is flexible with the ability to work at your own speed and teachers available when needed. With an up to date computer and internet access you can take the courses from anywhere. We award .5 stars for Flexibility. Sevenstar Academy’s website is nice and easy to use. We were able to find all the information with no problems and you should have no problems deciding if this school program is a fit for your student. We award .5 stars for Website Information. Alpha Omega Academy is accredited by the North Central Association Commission on Accreditation and School Improvement, a division of AdvancED, the largest accrediting group in the world. Alpha Omega Academy is also listed with the Association of Christian Schools International. We award 1.5 stars for Accreditation. Alpha Omega Academy’s teachers are available in all subject areas at select times in order to offer an online classroom that allows students the ability communicate with their teachers throughout the day. Students can, also, message teachers over chat, phone or email or ask direct questions. We award 1.5 stars for Teacher Access. Alpha Omega Academy offers any basic courses needed in order to earn your diploma, along with lots of electives to fit most every need. We did not see any honors or AP courses listed though. We award .5 stars for Class Availability. Alpha Omega Academy’s lessons can be accessed anywhere 24 hours a day 7 days a week and your student can enjoy learning wherever they are through web-based curriculum available, lesson questions, quizzes, projects, and tests are completed online. with any up to date computer and high speed Internet connection. We award .5 stars for Flexibility. Alpha Omega Academy’s website is easy to use and nice with plenty of information in order to make your choice easy as to if this school is good for your student. We award .5 stars for Website Information. 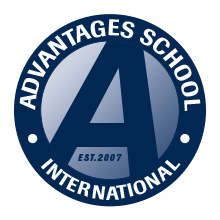 Advantages School International is accredited through AdvancED, the largest accreditation group in the world, along with having some classes approved through NCAA. Having these accreditations will allow the credits your student earns in this program to transfer to other schools or colleges with no problems. We award 1.5 stars for Accreditation. Advantages School International all courses are taught by licensed teachers who have at least ten years of experience or hold a Master’s Degree. Students will receive their instruction online via the Internet with expert teachers leading approximately 120 hours of direct instruction. Academic advisers are also provided to help. We award 1.5 stars for Teacher Access. Advantages School International offers two types of diplomas. The College Prep diploma and the General Studies diploma is for students planning on entering the work force or attending a junior college or trade school. You can choose from basic core courses, AP, Honors along with College Prep courses with this program. We award 1 star for Class Availability. Advantages School International is all online and self paced. Your student can access their courses any time from anywhere as long as they have a computer with internet access. We award .5 stars for Flexibility. Advantages School International’s website is nice and informative. We had no problems finding the needed information and you shouldn’t either. We award .5 stars for Website Information. Clonlara School is accredited through Middle States Association of Colleges and Schools, Accreditation International, National Council for Private School Accreditation. All of these accreditations are good ones to have and your student should not have any issues getting their credits to transfer. We award 1.5 stars for Accreditation. Clonlara School has an Advisor who will work directly with students throughout the school year to help identify learning styles and access to a Teacher for each individual course, support will include lesson review, grading, teacher comments and answers to individual questions. We award 1.5 stars for Teacher Access. Clonlara School appears to have all the basic core courses along with Honors and AP courses to choose from. We award 1 star for Class Availability. Clonlara School has 24 hours a day, 7 days a week access to their program. As long as your student has computer access with internet service they should have no problems with this program. We award .5 stars for Flexibility. Clonlara School’s website is nice although we had a hard time finding all the information we needed at times. Blueprint Education has its accreditation through AdvancED, the largest accreditation group in the world. You should have no problems with getting credits earned through this program to transfer to other schools or colleges. We award 1.5 stars for Accreditation. Blueprint Education’s website says this about contacting teachers, “For questions regarding course content, you can simply email your teacher via the course organizer. For additional course content support, there are various tutoring options available. Please inquire with your teacher or contact the main office for further details.” From what we see available to us on the website, Teacher Access is limited. We can only award .5 stars. Blueprint Education has all the basic core courses along with several electives to choose from. We did not see any Honors, or AP courses available. We still award 1 star because of the number of Electives they have to choose from. Blueprint Education appears to be fairly flexible and if your student does need more time, a single two month extension can be purchased for $40 per course. With a computer and internet service your courses are available from anywhere. We award .5 stars for Flexibility. 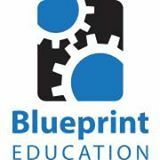 Blueprint Education’s website is informative and easy to use. We had no issues finding all the needed information in order to make an educated choice as to if this school program fits. We award .5 stars for Website Information. National University Virtual High School has accreditations through AdvancED, the largest accreditation group in the world, along with being accredited regionally through the Western Association of Colleges and Schools. Your student should not have any problems as far as having credits they earn transfer to other schools or the college they choose. We award 1.5 stars for Accreditation. National University Virtual High School has a program that from what we gather is more of a do it yourself type class. The school does provide your student with 24 hour a day technical support, access to the National University e-library, writing and math tutoring centers, and college and career support centers. Your student also has access to counselors if needed. We award 1 star for Teacher Access. 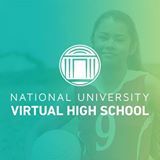 National University Virtual High School has all the basic core classes needed plus several Electives, and College Prep courses to choose from in order to fit most every need. We award 1 star for Class Availability. National University Virtual High School is very flexible with 24/7 access and the ability to work at your own pace. As long as your computer is up to date and you have internet service you can access the program from anywhere anytime. We award .5 stars for Flexibility. National University Virtual High School’s website is informative and easy to use. We had no problems finding all the information needed to make an informed decision as to if this program fits. We award .5 stars for Website Information. Oak Meadow is regionally accredited through the The Middle States Association of Colleges and Schools and by the New England Association for Schools and Colleges. Both of these accreditations are good ones to have and your student’s credits should transfer to most other schools and colleges. We award 1.5 stars for accreditation. Oak Meadow’s program, from what we understand from the website, is a more of a do-it-yourself type program with teachers that can be available for 1 hour at a time if needed. If this is the case, we can only award 1 star for Teacher Access. Oak Meadow has all the basic core courses, but if you take the AP courses, they are given through Johns Hopkins University Center for Talented Youth. You would need to call the school for more information on this program. We award .5 stars for Class Availability. Oak Meadow’s website is nice and informative. You should find all the information needed in order to decide if this school is the one. We award .5 stars for Website Information. Miami Global Academy is accredited through the Southern Association of Colleges and Schools along with their courses being approved by NCAA. These accreditations, along with it being the University of Miami, should make your credits transfer with no problems to other schools or colleges. We award 1.5 stars for Accreditation. Miami Global Academy’s students have access to an academic coach, along with teacher contact throughout the day paired with a combination of live video, audio, and whiteboard technologies. We award 1.5 stars for Teacher Access. Miami Global Academy has all the basic core courses, several electives, AP, and Honors courses available to fit every need. We award 1 star for Class Availability. Miami Global Academy has a program where courses provide interactive education using video, audio, simulations, games, and as long as your computer is up to date with internet access your student can access these classes from anywhere. We award .5 stars for Flexibility. Miami Global Academy’s website is easy to use and informative. We didn’t have any issues finding the information needed to make an informed decision about this program. We award .5 stars for Website Information. Halstrom Academy is regionally accredited through the Western Association of Schools and Colleges, one of six regional accrediting associations in the United States. Halstrom Academy also has a membership with the NCAA. We award 1.5 stars for Accreditation. Halstrom Academy offers classes that are taught by expert teachers in a one-on-one class setting and are available both on campus and online. Students can choose to participate in a variety of seminar classes where they work and learn with peers in a small group setting. We award 1.5 stars for Teacher Access. Halstrom Academy offers all the basic core classes needed along with several AP and NCAA approved courses to fit most every need. We award 1 star for Class Availability. Halstrom Academy has a year-round, open enrollment policy where students are able to create a personalized schedule to accommodate their optimum learning time. Appointment times are available during the following times: Monday – Friday: 8:00 a.m. – 5:00 p.m. We award .5 star for Flexibility. Halstrom Academy’s website is well built and easy to use with all the information needed to make a informed decision as to if this program fits your student’s needs. We award .5 stars for Website Information. North Dakota Center for Distance Education is accredited by AdvancED, along with the North Dakota Department of Public Instruction and is governed by standards set forth by the North Dakota Educational Technology Council. The North Dakota Center for Distance Education also has classes that are NCAA approved. We award 1.5 stars for Accreditation. North Dakota Center for Distance Education says on their website that all students receive one on one help from their teachers and support for all their courses along the way. Academic Advisors are also available if needed. We award 1.5 stars for Teacher Access. North Dakota Center for Distance Education has all the basic core courses needed, along with Advanced Placement and some Dual Enrollment classes to choose from. We award 1 star for Class Availability. North Dakota Center for Distance Education is flexible with a program that is set up to be self paced and as long as you have an up to date computer with internet service the program is accessible from anywhere. We award .5 stars for Flexibility. North Dakota Center for Distance Education’s website is nice and has all the information needed to make the decision as to if this school program fits your student’s needs. We award .5 stars for Website Information. 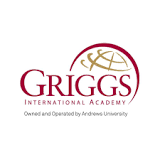 Griggs International Academy is accredited through Middle States Association of Colleges and Schools, along with the National Council for Private School Accreditation. These accreditations are not the standard ones we normally see and they seem to be more private and religious based. You should call this school and find out what other schools will accept the credits earned through this program. We award 1 star for Accreditation. Griggs International Academy has teachers that are available via email or instant-messaging to answer questions and provide encouragement. We could not find much information other than this on Teacher Access. We award 1 star for Teacher Access. Griggs International Academy’s program offers a basic diploma program along with a college prep diploma program to choose from. We award 1 star for Class Availability. Griggs International Academy’s program appears to be fairly flexible with a “work at your own pace” curriculum and six months to complete a semester. As long as you have a computer connected to the internet your student can access this program from anywhere. We award .5 stars for Flexibility. Griggs International Academy’s website was found to be a bit hard to use from time to time, having said that, you can find the needed information to make a choice so we award .5 stars for Website Information. Liahona Preparatory Academy is accredited through AdvancED, the largest accreditation group in the world. You should not have any problems with getting credits received through this program to transfer to other schools or colleges. We award 1.5 stars for Accreditation. Sorry to say, this is the only information available from their website so we were unable to rate this school. You would have to contact the school for more information. WiloStar3D Academy is accredited through AdvancED, one of the largest accreditation groups in the world, making their credits easily transferable to other schools or colleges. We award 1.5 stars for Accreditation. WiloStar3D Academy students have a good mixture of online time, as well as, directed hands-on learning at home. For instance, students spend an average of thirty minutes a day in our virtual classroom, two to three hours online researching the current class topic, and about thirty minutes talking with their peers. This program, howeve,r appears to be mainly interactive and we can not find any information on teacher one on one contact. We may be missing something, but at this time can only award 1 star for Teacher Access. WiloStar3D Academy has all the basic core courses to earn your diploma and, in addition, some artistic electives and available computer design classes making this a different type learning experience. We award 1 star for Class Availability. WiloStar3D Academy’s students have access to the assignment sheet on the website any time. They also may upload their daily assignments as soon as they are complete or later in the evening if they need more time and as long as you have an up to date computer with internet access this program is available from anywhere. We award .5 stars for Flexibility. WiloStar 3D Academy’s website is a neat website, although we had a bit of a hard time finding all the information we needed in order to rate the program. We did, in the end, find all needed information and we award .5 stars for Website Information. 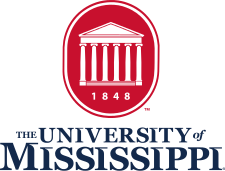 The University of Mississippi High School is accredited through Southern Association of Colleges and Schools Council on Accreditation and School Improvement, a division of AdvancED, the largest accreditation group. This program also has core courses approved through NCAA. We award 1.5 stars for Accreditation. The University of Mississippi High School’s website says that your student uses a service called Blackboard to submit their work to teachers and the teachers do the same in return. We can’t find anywhere where it says that you have one on one contact or how to contact. We did however find that they have Academic Advisors available. We award 1 star for Teacher Access. The University of Mississippi High School program has all the basic core courses, along with some AP courses. They have 2 Electives that we saw in the list, but they were only ACT and SAT prep classes. We award .5 stars for Class Availability. The University of Mississippi High School program is flexible like other online programs because with an up to date computer with internet access you can take the program from anywhere, although they do have a minimum completion period where your student can’t finish fast without permission. We award .5 stars for Flexibility. Greenways Academy is accredited by three accreditation programs: the North Central Association, the Commission on International and Trans-Regional Accreditation, and the Northwest Association of Accredited Schools. Greenways Academy also has NCAA approved courses. We award 1.5 stars for Accreditation. Greenways Academy’s website says that they have one on one teaching for every course, which is one of the qualities we look for in a online school program. We award 1.5 stars for Teacher Access. Greenways Academy’s program offers all the basic core courses along with several electives to choose from. We award 1 star for Class Availability. Greenways Academy is flexible, of course, in the fact that with a computer that has internet access your student can access courses from anywhere and Greenways Academy claims that have a program to fit every need. We award .5 stars for Flexibility. Greenways Academy’s website is nice, simple, and easy to use. We had no issues finding the information needed. We award .5 stars for Website Information. New Learning Resources School District is accredited by the Southern Association of Colleges and Schools, a division of AdvancED, along with the Distance Education Accrediting Commission. With these accreditations, your student should have no problems with their credits they earned being able to transfer. We award 1.5 stars for Accreditation. New Learning Resources School offers classes led by licensed instructors and subject specialists and, in addition, their website says that students can email subject area specialists for extra assistance 24 hours a day. Their staff will respond to their questions within 24 hrs. We don’t see any other information on counseling. We award 1 star for Teacher Access. New Learning Resources School offers two directions of study, a career path or a college prep path that your student can choose from. With this program, your student can get all the basic core courses along with several great electives to choose from. We award 1 star for Class Availability. New Learning Resources School offers alot of flexibility enabling your student to attend year round and can move as fast or slow as they’d like. With a computer that is up to date and connected to the internet your student can also access this program from anywhere. We award .5 stars for Flexibility. New Learning Resources School’s website is nice, well built and easy to use. We found the website to be informative and had no problems finding all the information needed to assess their program. We award .5 stars for Website Information. 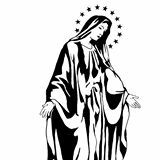 Mother Of Divine Grace School is accredited through the Western Association of Schools and Colleges and is listed with the BBB. We award 1.5 stars for Accreditation. Mother Of Divine Grace School’s program is set up to where all classes meet once per week for an hour unless the description says otherwise. However, each class period includes an additional fifteen minutes to allow for audio set up and any technical difficulties. Twice per week classes will meet for 45 minutes to an hour. From what we see on their website, it appears as though that if the student needs extra attention it comes with an extra fee. We award 1 star for Teacher Access. Mother Of Divine Grace School’s program has all the basic core courses needed to get your basic diploma, but all the courses appear to be fairly basic with no AP or Honors type courses listed. We could be missing something, but at this time, we award .5 stars for Class Availability. Mother Of Divine Grace School’s program appears to be flexible as to the fact that you can access the program from anywhere although you do have to attend online live classes on occasion during the week. We award .5 stars for Flexibility. Mother Of Divine Grace School’s website is nicely built and has all the needed information to make an informed decision as to if this school is what you and your student are looking for. We award .5 stars for Website Information.